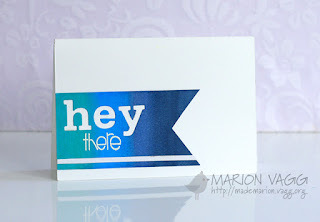 I am back today with a card for Muse. This week it was created by Marion. The first thing I noticed about her card is her blue fishtail banner, and I knew I had to incorporate that into my card. Today I am going to end my post with something I will be reminded of forever! 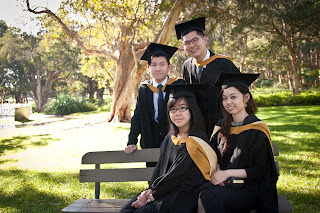 This is a photo my friends and I with our graduation gown. The photo was taken at Centennial Park by a friend of mine. It is my favourite photo! Love the fresh flowery take on this week's Muse! Thanks for playing along! And congrats on your graduation!